After 2 failed attempts due to the weather IATP director, Wayne Williams finally took to the skies to complete his jump on Friday 14th November. 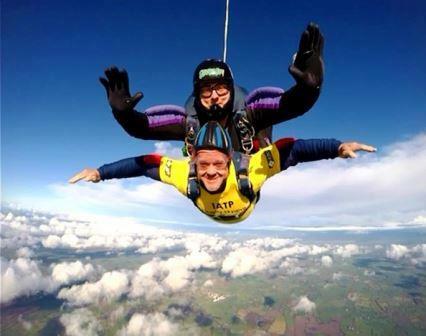 The IATP’s sponsored skydive was in honour of Action Mesothelioma Day, which was on Friday 4th July 2014. The jump raised a grand total of £1,295.00, which will be going to this year’s chosen charity, Asbestos Awareness & Support Cymru. A.A.S.C provides networking opportunities throughout Wales to help provide support to victims of asbestos related diseases and their families. This includes guiding victims of asbestos diseases and their families to the help they need with health & social care, linking them with legal professionals in the statutory, voluntary and private sectors to ensure that they are aware of the best assistance available to them within Wales. 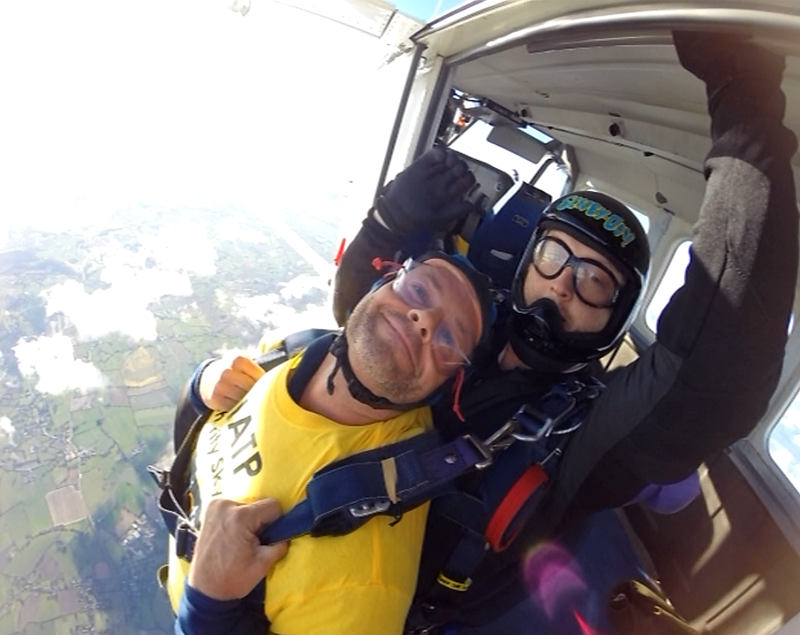 Thank you to all of those who sponsored Wayne to complete his skydive, without their support we would not have been able to raise such a large amount for AASC. Also a huge thanks to Wayne for volunteering to complete the jump.